Our work is a lasting investment that will add value to your home and life. We are able to work with you, your architect, designer or design build professional to create the kitchen or bathroom of your dreams. We would love to work with your designer or contractor as a sub-contractor. To do so, we will need to have professional drawings submitted. Contact us today via the green contact button on Houzz.. Eurowood Custom Cabinetry takes pride in our Design, Service and Quality. Since 1985, Ken Clarke’s craft was born out of a wordworking and custom furniture methodology that translates into cabinetry that is precise and unique. Whether it be a bathroom vanity, kitchen or a whole house build, Eurowood Cabinetry can complete your project with innovation, quality, attention to detail and unsurpassed customer service. We design, manufacture and install custom organizational systems that are as practical and efficient as they are elegant. Benefit from our experience and expertise. From Home Offices and Wall Beds, Sewing Rooms and Media Centers, Closets and Pantries, to Garages, we have been meeting the organizing needs of the SF Bay Area since 1973. Showroom located in Campbell. Since 1994, discerning homeowners and professional remodelers have turned to The Wood Connection for beautifully crafted custom cabinets. We combine cutting-edge technologies with old-world craftsmanship to bring you superior quality and outstanding value. The Wood Connection is also proud to be an authorized dealer of DeWils custom cabinetry. Silicon Valley Award Winning Cabinetry | 3x Best of Houzz Winner! 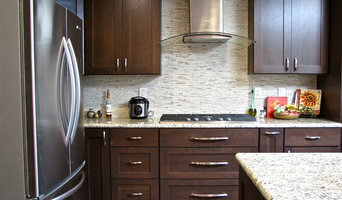 SF Bay Area Elegant & Affordable Cabinetry Delivered in Days! 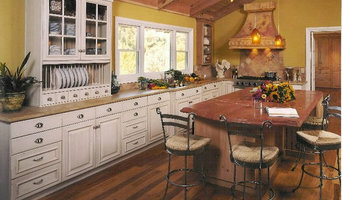 Woodenbridge is very high-end cabinet manufacturer and granite fabricator located in the Bay Area. Cabinetry is designed specifically to meet each customer's requirements and a photo-realistic 3-D rendering will be shown for approval before any construction begins. All cabinetry is handcrafted in-house - absolutely nothing is subcontracted - and every cabinet is built with hand-selected lumber with no nails in the front facing frames. Woodenbridge offers 50+ types of wood, 100's of door styles, and 1,000's of finishes. Since it's inception, Woodenbridge's primary goal has been to make the customer happy. Mistakes can and will happen. If we make a mistake, rest assured that we will take care of it immediately. SAWN Custom Woodwork is a boutique cabinet maker offering one-of-a-kind touches alongside practical, highly functional designs. Their personable and detail oriented style allows for artisan quality on all their projects. Berkeley Mills produces custom designed and handcrafted, Kitchens, Furniture Doors, Stairs and Millwork for homes or commercial projects. Use our designers or your own, you will not find a better company to work with, nor one that can build to a higher standard of quality and customer service. We use only the finest hardwoods, sourced from companies like the 150 year old "Collins Company" for our FSC® Certified American Cherry and "White Brothers Mill" in Oakland, a fourth generation family-owned company, for our exotic hardwoods. Our team of veteran cabinetmakers, designers and engineers work together from start to finish ensuring the precision, quality and beauty of your kitchen. We have cultivated long lasting relationships with our suppliers in order to give you the very best options in materials from which to choose materials that other manufacturers can only dream of having access to. We, in turn, will cultivate our relationship with you in the design and building process, to provide the very best outcome possible. Owner, Glenn Rogers is proud to announce that The Cabinet Broker is celebrating 15 years of providing beautiful affordable kitchen and bathroom cabinetry though out the San Francisco Bay area and are RTA ready to assemble cabinets shipped Nationwide! 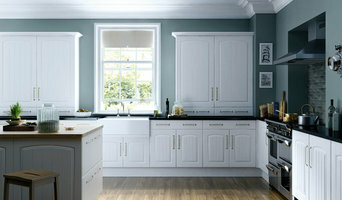 We feel very strongly that a customer should not have to wait weeks or months for there dream kitchen. The average lead time for cabinet delivery is less than 5 days! All the cabinets we sell are all wood construction, offer dovetail drawers, full extension ball bearing tracks, soft closing tracks and concealed hinges too. The Cabinet Broker searches out for the very best products at the best price. We also keep our overhead low so we can pass the savings on to you. Your satisfaction is our priority, and with your budget in mind we provide all estimates and invoices with a comprehensive detailed listing of all materials. All our cabinets feature plywood construction as standard, you never pay upgrade cost for plywood and we never use MDF, particle board, or furniture board. If you are looking for top cabinetry to be delivered for you upcoming remodel project, give Glenn Rogers Cabinet Broker a call at (650) 823-5234 or click the "Contact Me" button to send us a message. We look forward to working with you. Showroom open to the public by appointment only, 7 days a week.